Mauritius is a stunning country that attracts many visitors each year, so if you’re looking to do a CELTA course, why not study at a CELTA centre in Mauritius? 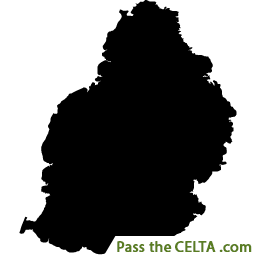 Imagine studying to be a CELTA teacher on a beautiful island. Well, now you can. For those who’ve already visited Mauritius, they’ll be quick to tell you that this gorgeous island in the Indian Ocean is paradise. Blessed with beautiful endless beaches and sunshine, you’ll be able to get some serious relaxation time as well. Mauritius is a fascinating island with a fusion of diverse cultures. After doing your CELTA course in Mauritius, you’ll definitely need a break, and what better way to relax than to lie on the sandy palm lined shore?